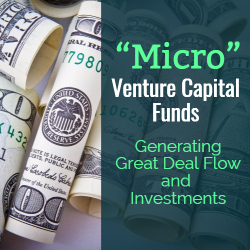 This article focuses on yet another challenge for first-time micro venture capital fund managers who seek to grow a successful and durable business – deploying the raised capital prudently with an eye towards subsequent, larger funds. We share some challenging issues and best practices we have observed over time. 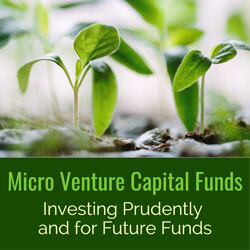 We continue to define micro VC funds as typically having less than $50 million in committed capital to invest. A standard investment period would be five years from the final fund closing. In practice, we see successful managers using approximately half of the fund for initial investments in portfolio companies, with the remaining half reserved for follow-on investments, expenses, and other matters. 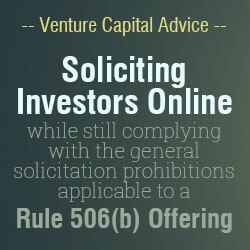 Unlike other private investment partnerships, venture capital funds generally do not provide the manager with a realistic commercial opportunity to “recycle” committed capital – that is, to use a second time some of the funds that have been invested – because it is unusual for an investment to be realized during the commitment period. One common technique, given these challenges, is to build into fund documentation the ability to organize “co-investment” vehicles. Co-investments may be particularly useful for investment opportunities too large for the fund itself; a fund manager may decide, for instance, not to put more than 5% of a fund into any particular portfolio business. Organizing a special purpose vehicle gives the manager the ability to have a larger stake in the portfolio company across multiple entities. Limited partners have come to expect co-investment opportunities and so there is practically no negotiation over the concept of giving the manager the flexibility to use such entities. In the real world, the negotiation between the fund manager and limited partners occurs over the fees paid to the manager for the co-invest entity. The fund itself may have a standard 2% management fee and 20% carried interest (note that our prior blog post suggests this may not be realistic economics for a first-time micro VC fund manager). Co-invests typically have lower economics for the manager, customized for the particular investment opportunity. Limited partners generally are pleased with the opportunity to decide, on a case-by-case basis, whether to make a particular investment beyond their fund investment. In short, a potential “win win” for the manager and the limited partners to raise and deploy capital. Second, a micro VC fund manager may have an “anchor” investor – someone who has contributed 10% or more of the fund’s capital, may sit on a limited partner advisory committee, may help attract other investors to the fund, and is able and prepared to invest significantly more capital in companies identified by the fund manager. The anchor investor, in return, may have special rights not available to other limited partners (reduced fees, for example). 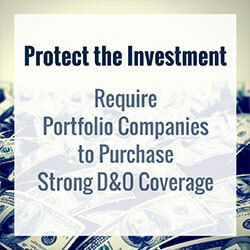 The presence of an anchor investor can be a double-edged sword for fund sponsors. 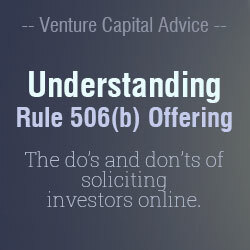 While the financial and other support from a lead investor can materially assist the micro VC fund manager for initial fund-raising and capital deployment, the anchor investor may negotiate for and receive preferred economics for the current and future funds and may insist on additional rights and restrictions with respect to the fund and its investments. At the end of the day, a manager should pick an anchor investor only after careful deliberation. Third, a prudent micro VC fund manager will focus particularly on the provisions in the limited partnership agreement governing subsequent investment funds. Fund managers are typically prohibited from raising a successor fund with a similar investment focus to the existing fund until certain conditions are met – such as the expiration of the fund’s commitment period, the deployment of a percentage of the fund’s committed capital, or the consent of a majority or more of the fund’s limited partners. 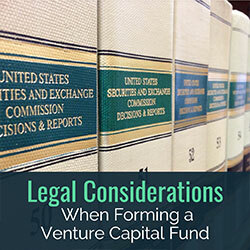 In addition, a first-time micro VC fund manager may not have a realized track record to market, and investors (new or repeat) in a sponsor’s second committed fund can be expected to want to see evidence that the first fund has met certain performance thresholds. Some managers, during this “bridge” period between capital invested and realizations, will be lucky and able to raise a subsequent fund because the unrealized investments will be in recognized, high-profile companies. In recent years, for instance, early investments in unicorns satisfied many limited partners. Other managers will become “fundless” sponsors and try to raise capital for particular investments on a case-by-case basis. This approach is always a challenge and works better in the context of larger investments, but it is worth theoretical consideration. A final choice may be for a manager to organize a “pledge” fund particularly during this interim period. In a pledge fund, limited partners provide cash flow to the manager through a management fee or other agreed-upon stream. Each investor can typically select on a case-by-case basis whether to invest in each potential investment opportunity, but there is an expectation that a certain amount of capital will be deployed during the life of the fund. Whatever the outcome may be, the best micro VC fund sponsors communicate fully and frequently with their investors (and potential future investors). Some sponsors set up an online portal to circulate documents to investors and manage investor communications, but the cost of doing so must be taken into account. Others managers communicate via email and snail mail. The best managers take time and care to describe the businesses where capital has been deployed and the current status of all investments. Not only is clear communication a sensible business practice for the current fund, but it lays the groundwork for successful future funds as well.